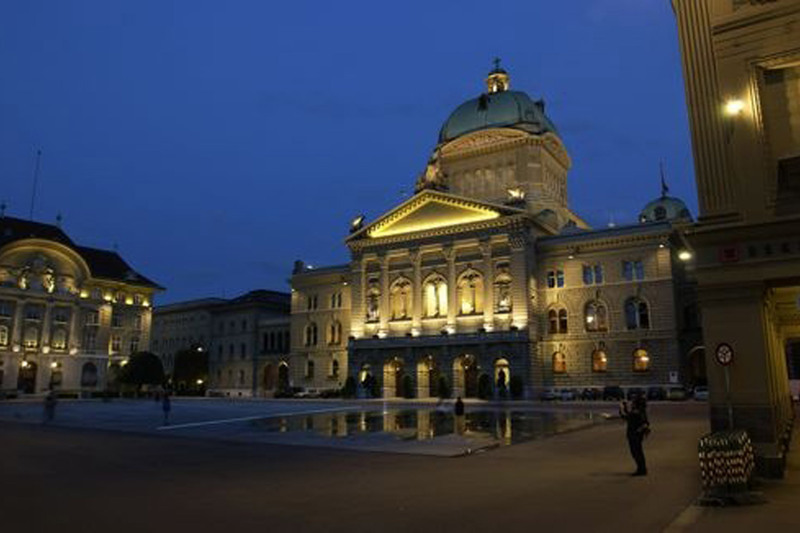 The Federal Palace in Bern is the building in which the Federal Assembly of Switzerland (federal parliament) and the Swiss Federal Council (executive) are housed. The Federal Palace has been designed by the architect Hans Wilhelm Auer and was constructed out of sandstone from 1894 to 1902. 2006 to 2008 – after over 100 years of service – the first major renovation takes place. The overall motto “in altem Glanz erstrahlen” can be translated as “gleaming in vintage splendor” with the goal to integrate modern technology within a faithful restoration of the original building structure. 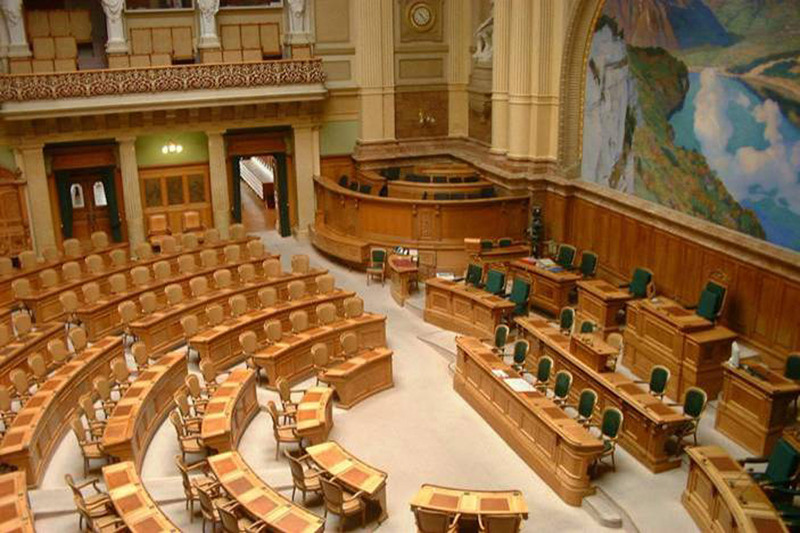 The Swiss Parliament consists of two houses: the Council of States which has 46 representatives, and the National Council, which consists of 200 members. 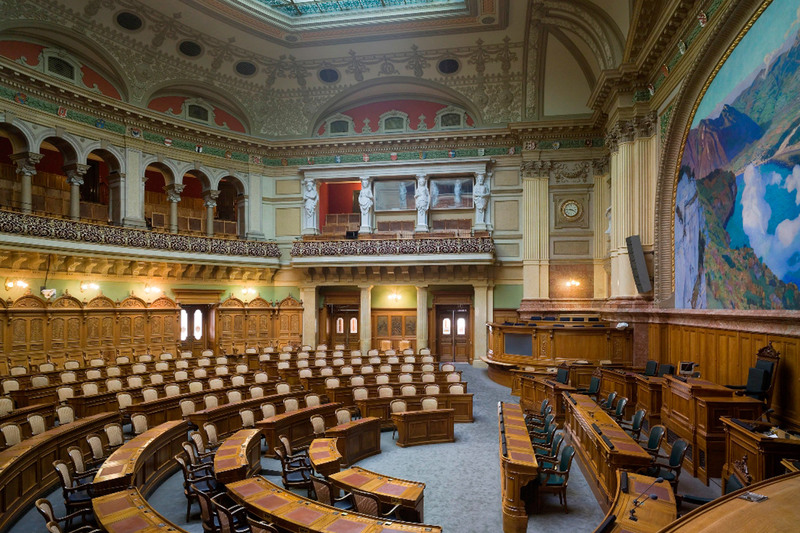 The Parliament Hall is used for National Council sessions and also for sessions of the Federal Assembly (both houses in joint session). 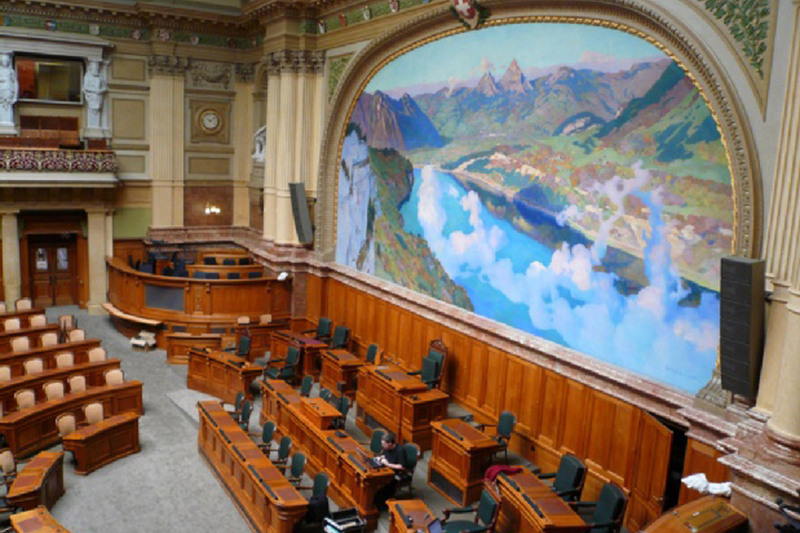 The National Council Hall is decorated with a large wall painting by Charles Giron showing the Ruetli Meadow on the Lake of Lucerne where – according to the legend – the Swiss Confederation was founded in 1291. One of the statues besides the painting shows storied Swiss national hero William Tell. 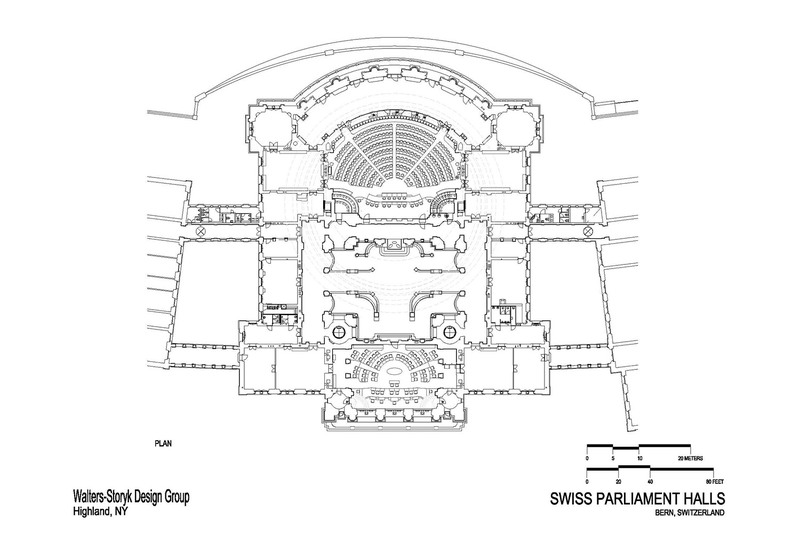 The National Council Hall has three distinctive zones that require sound reinforcement: the main hall, the stage area (with a distinctive presenter position and seats for the Chairpersons and clerks such as vote counters and recorders) and the balcony (for visitors and press). WSDG was hired to perform three tasks: Firstly studying and analysing the installed electro acoustical systems, secondly making multiple recommendations and specifications regarding upgrading or replacing the installed electro acoustical systems and finally, after the installation of the chosen system, for system calibration and final measurements of the upgraded or replaced electro acoustical systems. Initially, the analysis of the existing systems derived that the head end of the system – high quality microphones and a highly integrated analog mixing desk – is still in good shape and can be reused. The loudspeaker systems themselves though originally well designed were mediocre due to their position in the room and their limited directivity control. 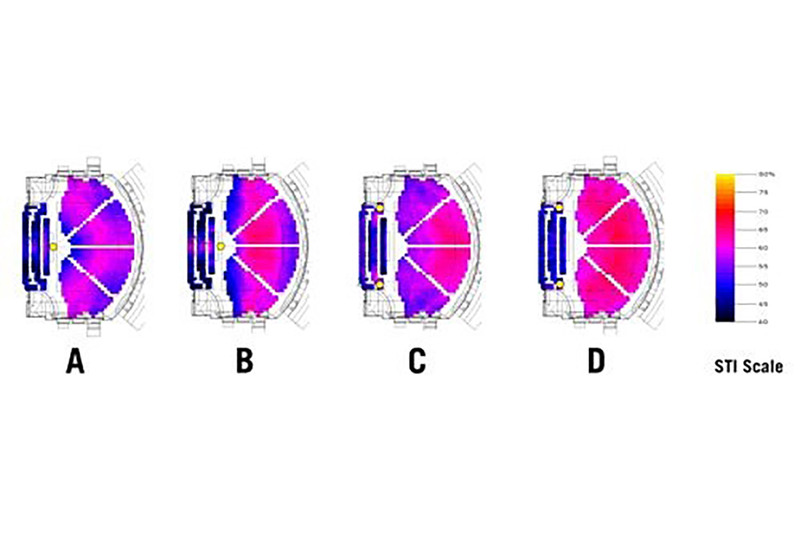 WSDG studied various upgrade options by using advanced acoustical computer simulation techniques. 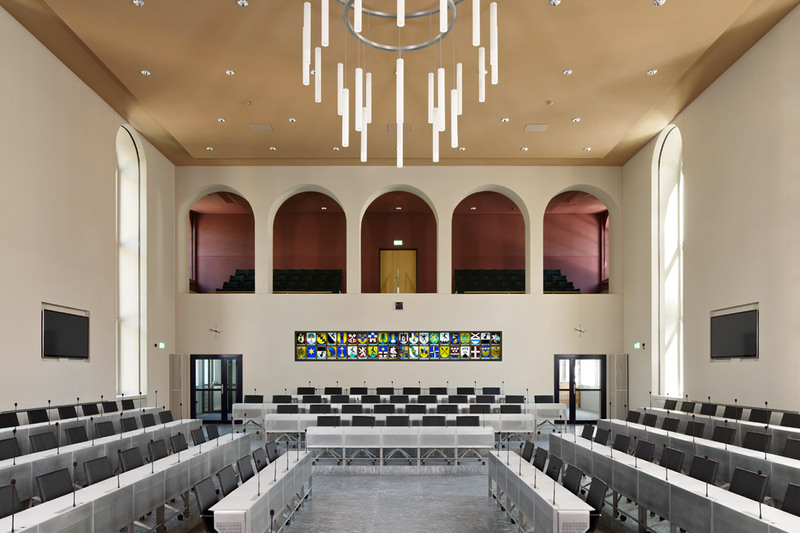 For the main hall, option D was selected for upgrading the sound reinforcement system, employing conventional line array loudspeakers installed in a left-right configuration, and clearly offering the highest Speech Intelligibility for all seats. The aesthetical integration solution designed by the project architect displays a “reveal” intention – the loudspeakers and also other technology elements are clearly shown in contrast to being concealed. 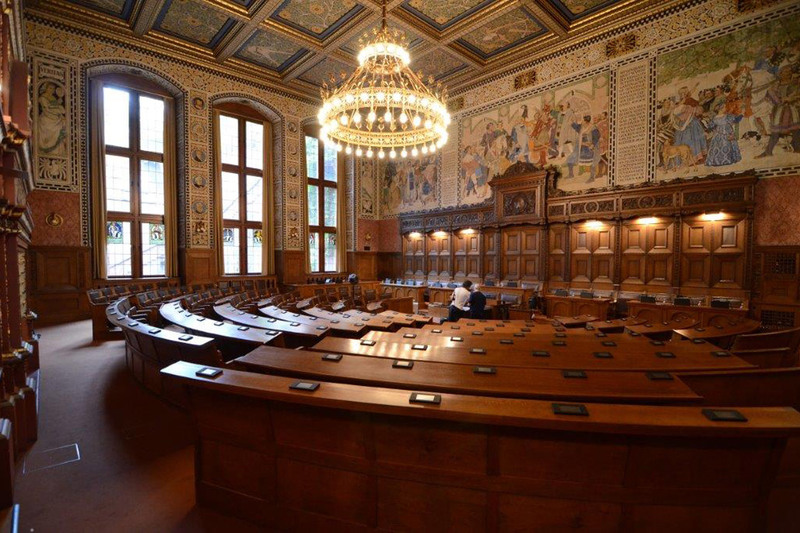 The stage or chairpersons area cannot be covered by the main loudspeaker system, mainly due to the acoustical feedback situation and also due to the orientation of the chairpersons. A separate “Picoline” mini line array loudspeaker system using wideband driver units was custom designed and built, which is installed locally on top of the vintage table tops. The same Picoline loudspeakers were used for sound reinforcement in the balcony areas. Specific sound conditioning has also been employed for the interpreters and broadcast feeds. 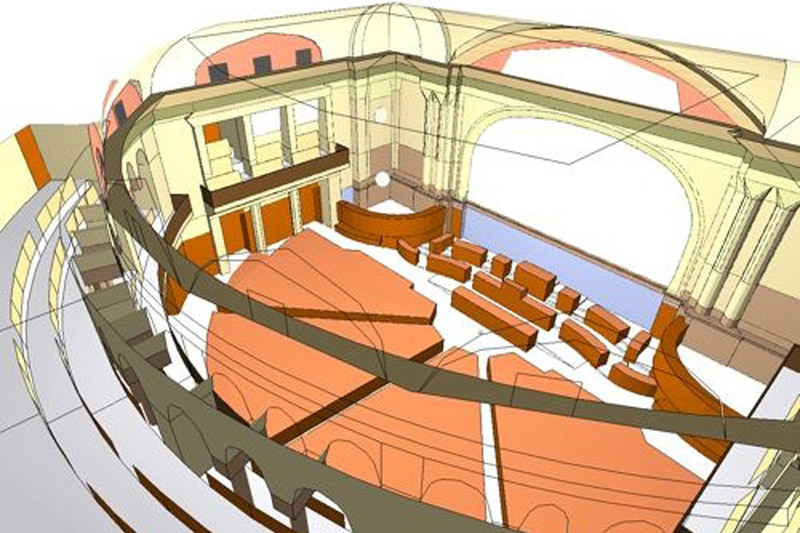 The installation of the electro acoustical systems was embedded into the major renovation schedule which covered two years. One of the challenges was the integration of modern technology into an extremely well observed historical and preserved environment. While the components themselves could be exposed the entire backbone infrastructure had to be concealed and integrated in the existing shell and furniture. 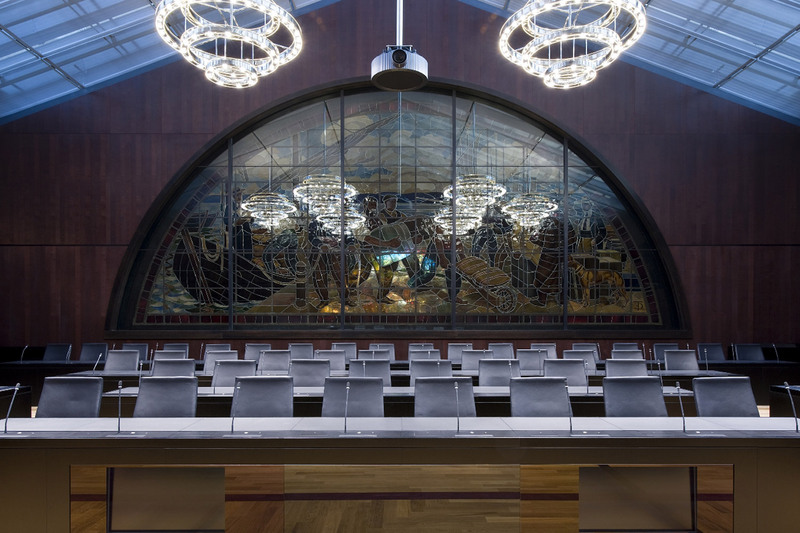 Another challenge was the demand of functionality of the spaces for a period of one month out of every three months – therefore allowing for the quarterly National Council sessions. Only one time – in the fall of 2006 – the session was relocated to a different city for its entire duration, allowing for an uninterrupted 6 months construction phase. In terms of audio technology this meant a step-by-step preparation of the new systems while practically not touching the existing infrastructure which was needed for the sessions. Only in the very last phase the old systems could be removed and the new systems could be engaged. The final commissioning and system calibration was finished just before the session started again. 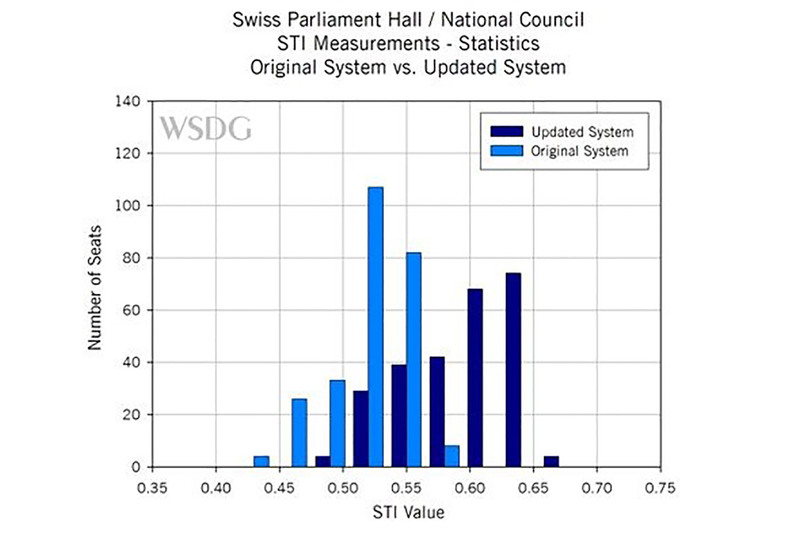 Acoustical measurements of (amongst others) Speech Intelligibility (STI) were undertaken and they nicely show the qualities of the upgraded system in comparison to the original system. The results are consistent with the simulations.